This particular Adams A2 Custom Trumpet is made of yellow brass with a silver-plated finish, and has a .40mm wall thickness. 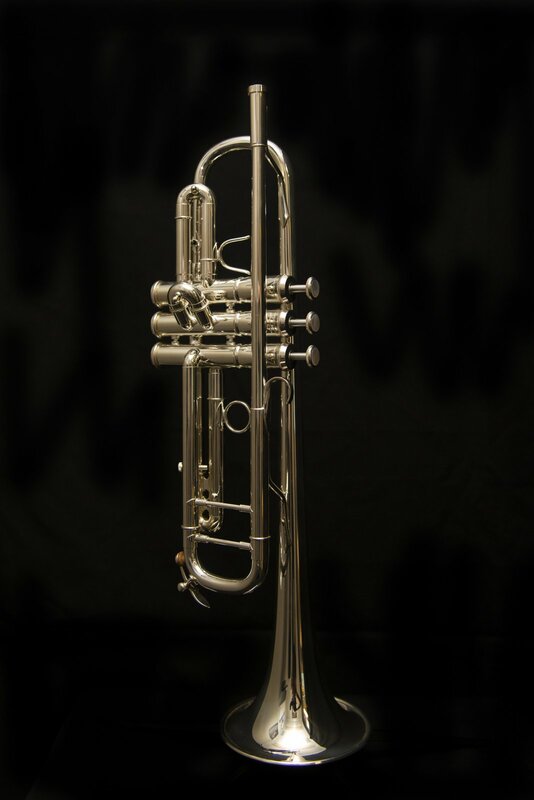 Manufacturer's Comments: The new A2 has been redesigned and developed with some of the UKs leading orchestral Bb trumpet players. Tested throughout Europe and the US this new classical model is a true international collaboration and a very popular new addition to the Adams range. It is a very well balanced trumpet combining reassuring stability and great projection with a full even sound across the whole range of the instrument. The A2 is very responsive in every dynamic and has the agility to adapt to all playing styles from solo recitals to concert halls.